It happened within a week. Survival was just the start of it. It has a plan . . .
Leon is stuck in England. Grace is on her way to New Zealand and Freya to the New United States' in Cuba. The virus has assimilated all of humanity except for these three communities and now it is prepared to talk with them. 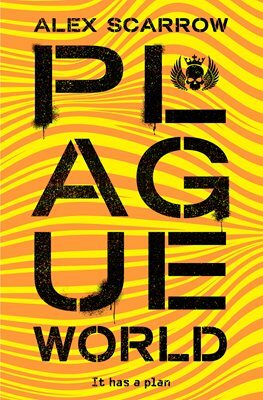 How they each choose to respond to the virus, will ultimately decide their fate in Plague World, the apocalyptic finale to the Remade trilogy from bestselling author of the TimeRiders series, Alex Scarrow.